Imagine your surprise to find that your brain has slowly but surely become dependent on the tramadol you were prescribed following oral surgery. In fact, tramadol prescriptions are increasingly popular with doctors, with the rate of prescriptions nearly doubling since 2008 to 44 million in 2013, as reported on drugabuse.com. Who knew that those innocent little tablets could become dangerous so quickly? But possibly your post-surgical pain persisted long enough to have to refill the prescription, allowing the body to build up tolerance to the analgesic. Tramadol is, like all opioids, this narcotic can become addictive. In fact, when looking up tramadol on Google you also get the Blackbox warning for the drug, and the very first item on the long list is “Addiction, abuse, and misuse.” But if that horse is already out of the barn, the next important step is to rid your body of the drug via detox. Fortunately, a medical tramadol detox at home is one of the viable options to consider. What is Tramadol Detox at Home? It is never advised to attempt a tramadol detox at home without medical supervision. 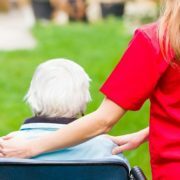 If you are interested in going through the detox and withdrawal phase of recovery from a tramadol dependency in the privacy of your home, it is best to have a detox nursing team on board to assist with the unpleasant symptoms. Without the medical supervision, chances are you will struggle so much with the withdrawal symptoms that you will give up and return to using the drug to stop the discomfort. Tramadol detox at home offers many benefits to the inpatient facility. For one, an at home detox is more discreet. No one needs to know you are dealing with a opioid problem, and an at home detox offers this privacy. 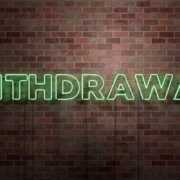 Also, most people who are anticipating the difficulty of withdrawals would much prefer the comfort of their own home versus an inpatient facility. 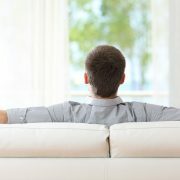 Detoxing at home allows you to move about as you wish, even taking care of some work related activities from home. Depending on how long and severe the tramadol addiction is, withdrawal symptoms will be variable. However, in most cases the withdrawal symptoms will appear within 24 hours of the last dose of the drug. While the withdrawal symptoms can be highly unpleasant, they are not fatal. The biggest challenge during detox is to mitigate the suffering and the cravings enough to continue on until detox is complete. 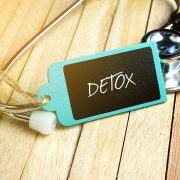 In most cases, detox takes about 7-10 days, but can last several weeks for those with a long history of tramadol abuse. The detox doctor and nurse will help relieve much of this distress with a variety of medications. When it comes to detoxing from tramadol, the foremost goal in the individual’s mind is to alleviate the suffering. Another benefit of an at home medical detox is the availability of additional therapeutic concierge services that can enhance relaxation and help minimize discomfort. These holistic therapies might include massage therapy, acupuncture, yoga, guided meditation, guided imagery, IV vitamin therapy, and music therapy. These experiential therapies help soothe the mind and spirit while going through the difficult detoxification phase of recovery. Kinkaid Private Care offers the best of in home tramadol detox services, with trained detox nurses and oversight by a physician who is an addiction specialist. In addition to the expert detox services, Kinkaid Private Care also provides assorted holistic therapies to help reduce stress and anxiety and promote a sense of relaxation during detox and withdrawals. For more information about a medical tramadol detox at home, please contact Kinkaid Private Care today at (877) 388-5942.